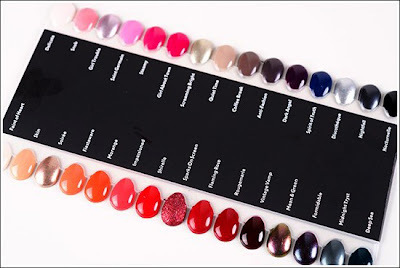 Up until now MAC's nail lacquers have only been released as part of their limited edition collections. As of Monday though we'll be able to get our hands on their new permanent range of nail lacquers! There will be 30 different colours to choose from. Some are completely new to MAC, others are based on popular lipsticks, like the Impassioned lacquer. The polish comes in a new high gloss formula & there are three finishes to choose from; Cream, Sheer & Frosted. I've never used MAC's lacquers before but a friend of mine tells me the Cream finished polishes are amazing. They also contain conditioners & UV protectants. There are some gorgeous neutral colours too, but as we're coming into Summer in the Southern Hemisphere, it's those brights that will really stand out. Get yourselves down to your local MAC counter or store on Monday & get nailed! 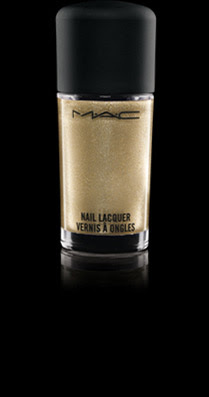 -MAC Cosmetics Bottles & Swatches via Temptalia. -Individual bottle images via MAC Cosmetics.